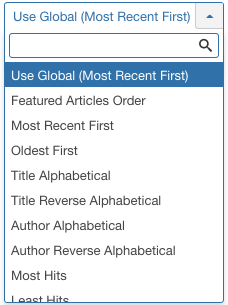 Featured Articles Order: Articles are ordered according to the Order column entered in Article Manager: Featured Articles. Article Manager Order: Articles are ordered according to the Order column entered in the Article Manager. This page was last modified on 3 September 2018, at 21:02.